Appearance : Thin liquid Aroma : Fresh, Sweet, Menthol-minty, Herbaceous Color : Clear to pale yellow, sometimes greenish Chemical constituents: Peppermint oil has various chemical compounds that include Menthyl Acetate, Menthone, Cineole, Limonene, Phellandrene, Pinene and Beta-Caryophyllene. Extraction: It is hydro distillated by leaves and stems. We offer 100% pure Peppermint oil. It is a native of the Mediterranean but is now also cultivated in India, USA, Japan and Great Britain. It has been cultivated since ancient times in Japan and China. Evidence of use was found in Egypt in a tomb dating back from 1000 BC. Peppermint is a perennial herb that grows up to 1 meter (3 feet) high and has slightly hairy serrated leaves with pinkish-mauve flowers arranged in a long conical shape. Peppermint is commonly known from Peppermint tea, chewing gum or candy but the essential oil is much more strong and concentrated and should be used in moderation, very fresh and clean smelling. 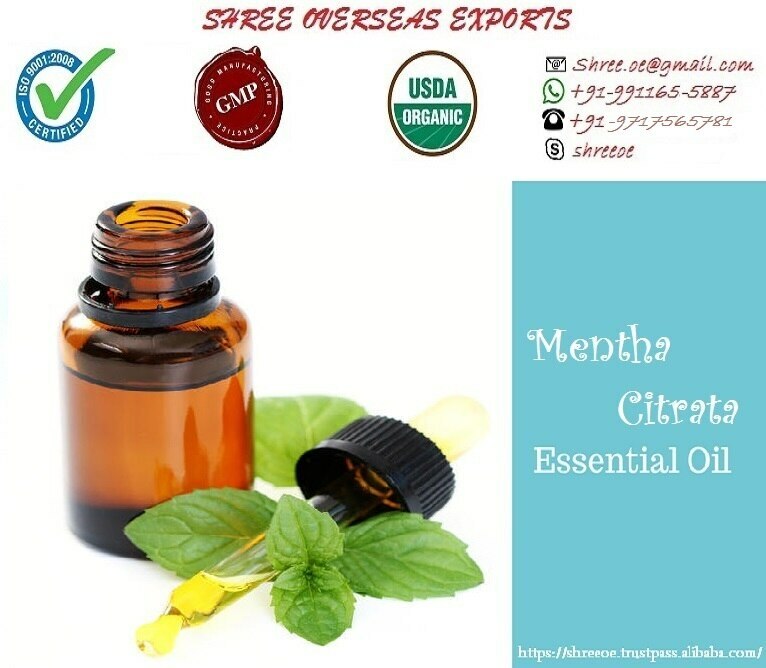 Shree Overseas Exports has mentha citrata uses . It's also called mentha citrata essential oil .